She’s one of the oldest and most prominent female superheroes of all time, a Justice League member and last year, for the first time, she finally debuted on the big screen. 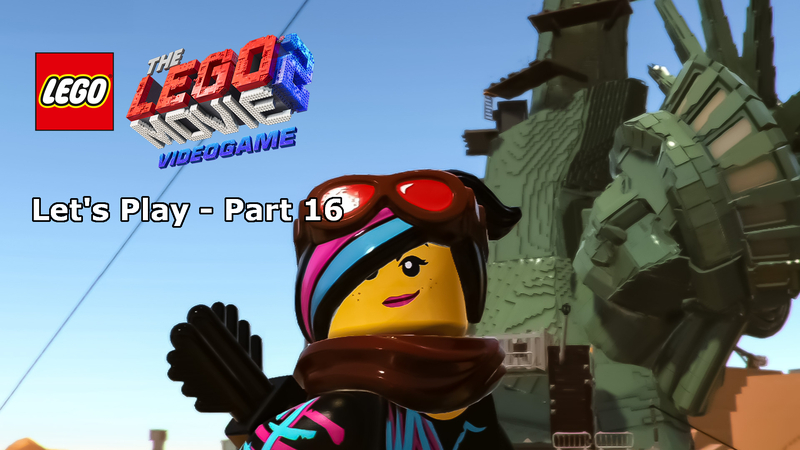 In five months time, her solo movie is due to hit cinemas, but Wonder Woman fans, thanks to LEGO, you don’t need to wait that long to see her in action. 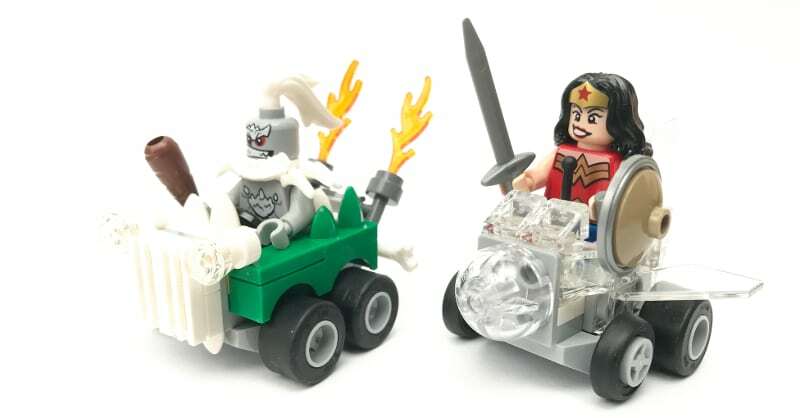 The Mighty Micros, the pocket-money priced battle sets which pit one hero again one villain and give them each a custom vehicle, has now introduced Diana, princess of the Amazons, into its ranks. Who is the great warrior facing, though? Her own villains are not very well known in the mainstream yet, so who do you pit against a demi-goddess? Superman and Wonder Woman have had a close relationship over the years and with the Man of Steel already in the latest wave of this range battling against his twisted mirror image, Bizarro, this opens up the door for Wonder Woman to take on one of his more notable bad guys. In fact, it’s one that Diana has already taken on in that woeful attempt to kick-start the Justice League, Batman v Superman: Dawn of Justice. I am, of course, talking about Doomsday. Ignoring that particular movie, in which Wonder Woman’s introduction was the main highlight, Doomsday is the big bad, a character who returns stronger when killed, the only character to take on Superman and win outright. Surely a worthy opponent for Wonder Woman. Anyway, before that rant goes further off on a tangent, let’s return to the LEGO set. 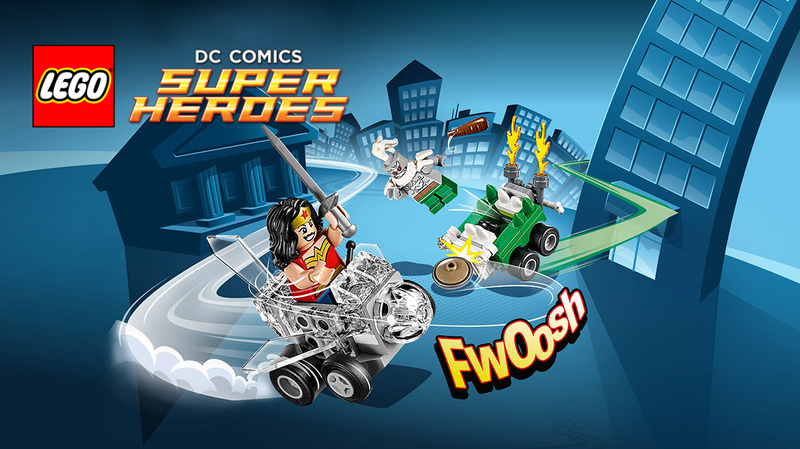 It’s Mighty Micros series 2 and it’s Wonder Woman vs. Doomsday. 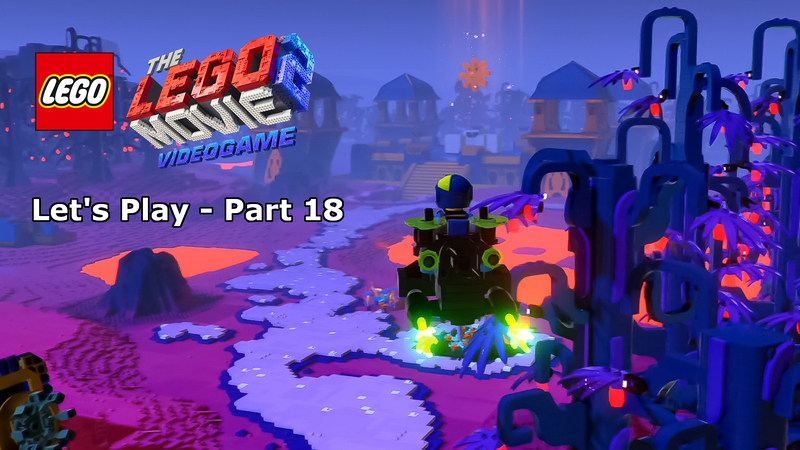 For those not familiar with the Might Micros, the main theme of the minifigure designs is simplicity, just enough detail to identify the characters. 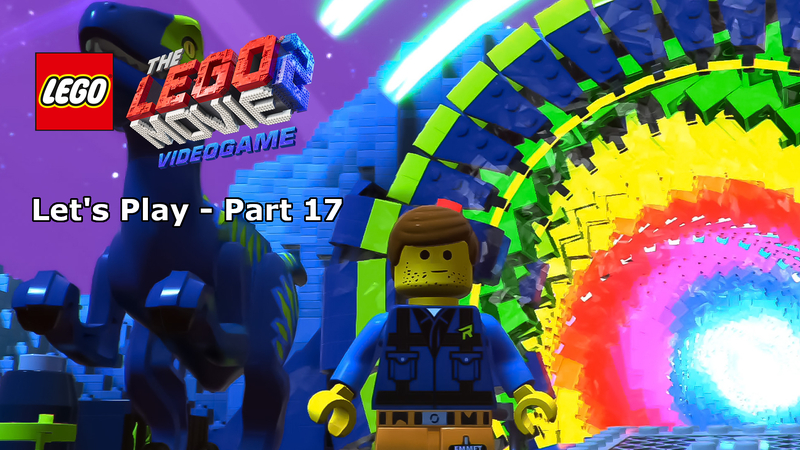 The designs tend to be a middle-ground between the LEGO junior sets figures and the standard sets. 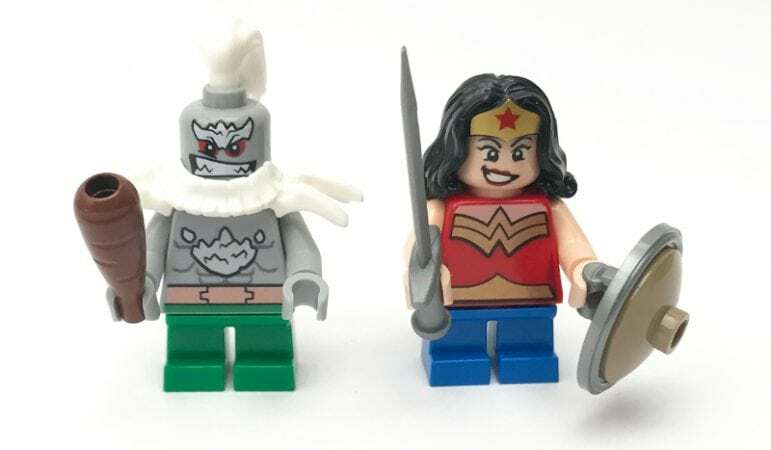 Even with the spartan design choices, Wonder Woman still stands out as a great figure, the short blue legs aside, she wouldn’t look out of place next to any of the mainstream figures. The red and gold torso design looks like it’s straight out of the comics, complete with the sleeveless, skin coloured arms. The gold belt and larger chest ‘WW’ emblem look superb. Much like the micros Superman, Wonder Woman’s facial expression is a little cocky, a little fun, with a large smirk. The character-specific hairpiece comes complete with a large gold headband. Completing the look, Diana comes complete with sword and shield. Doomsday is probably the most difficult character to bring into the Mighty Micros given the younger target audience. The character is quite literally a monster in the comic books and so dulling that down to something a little more friendly-looking was always going to be a challenge. 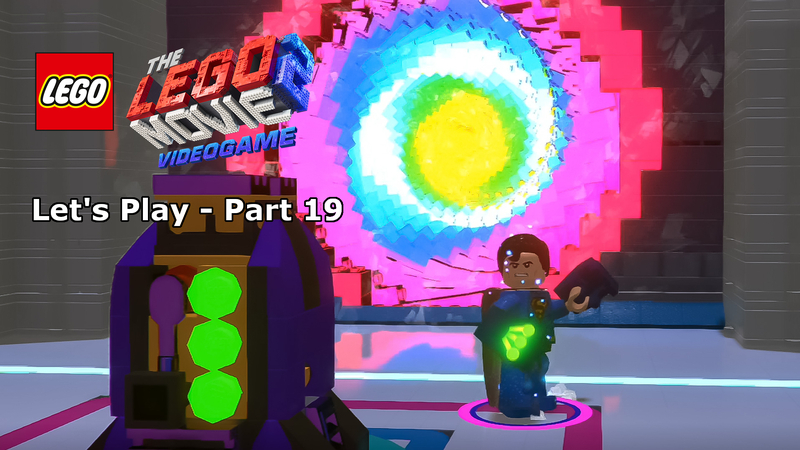 What we get is, therefore, a little odd and not the greatest comic-to-LEGO transition ever seen. The figure has green legs without any additional design detail. The torso design is good for the character, with both front and back featuring prints of the pointed bones which stick out of Doomsday’s skin. Unfortunately, the spartan look doesn’t suit a character who would usually be head-to-toe in additional detail. The design does try to make up for it with a large shoulder piece which adds spikes and another piece for the characters white beard, but overall there’s just not enough for this character. The head is probably the best piece in terms of character-specific design detail, with a large white brow over dark red eyes and a snarling mouth. A rubber hair piece attaches to the top of the head, though sadly it can be easily knocked off with little effort. This isn’t the first time I’ve seen a piece like this and I have to say I’m not a fan given it is quite a specific piece, difficult to replace and easy to lose. Doomsday turns out to be a real disappointment, given just how good this range of sets has been this year. Despite a few comic book nods, there’s barely any of the character left to admire after the LEGO mighty micronisation. We’re yet to see it in the movies, but Wonder Woman’s invisible jet is her standard comic choice of transport – though it did technically make an “appearance” in the LEGO Movie. Taking that famous vehicle as the template, the designers have come up with their own Mighty Micros version, complete with transparent LEGO pieces across the entire model. The foundation of the vehicle is made from grey pieces, which make up on almost a two-stud high framework for the rest of the model. From this point on, it’s all see-through. Three large fins on the back and sides, along with a dome on the front make up the outer body. The look is completed with a mixture of 2×1 and singular triangle pieces add further detail such as a small windscreen hiding the single lever inside the vehicle. On par with giving Batman a true to source batmobile in last year’s range, this is a stunning recreation of Wonder Woman’s invisible jet. Doomsday’s choice of four-wheeler is a little bit animalistic in design, very apt for the character. The body is simplistic in its design, featuring green and white horned pieces around where the character sits. The front of vehicle is no frills with a basic grill setup, mostly in white, with transparent headlights. 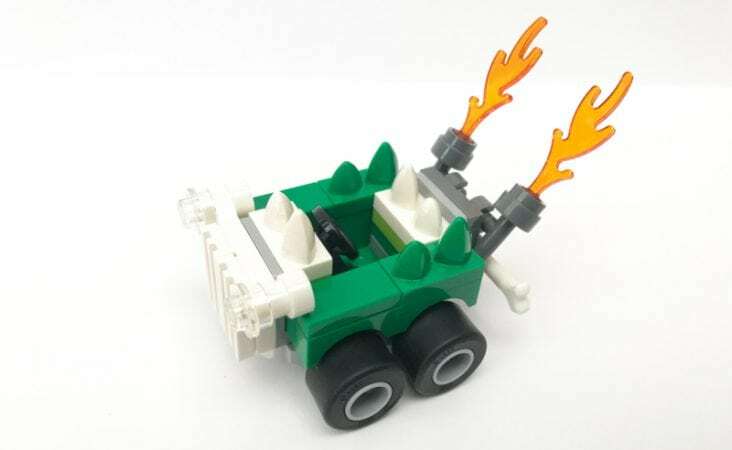 The back of the vehicle has a little more character, with four clips used to connect a large bone and two large fire torches with flame pieces sticking out. The vehicle goes some way to improving the villain’s side of this battle set, but after a rather underwhelming figure, this four-wheeler doesn’t quite do enough. Overall, the Mighty Micros Wonder Woman vs. Doomsday is a pain mix of stunning comic book goodness from our hero and disappointing and sometimes odd design decisions for the villain. Admittedly, Doomsday is probably the most difficult character to convey in a child-friendly, micro versioned set, but what we get is a little too bare-basics and leaves very little to admire. Wonder Woman literally saves the day with this set, he figure and vehicle are amazing and worth the price of the set on their own. If you’re a collector then you’ll need the invisible jet in your collection. Younger fans will no doubt enjoy the set, given Wonder Woman’s new prominence in the mainstream, but if their only exposure to Doomsday is through the movie-world then they’ll be more than disappointed with in incarnation. In Wonder Woman, we get a fantastic figure and a stunning version of the invisible jet. With Doomsday, we are sadly left wanting. The transition to the simplistic world of Mighty Micros takes far too much away from the character’s look and the vehicle does little to make up for it. Even so, Wonder Woman more than makes this a worthwhile purchase.